He’s just a man, one who happens to be very wealthy. A very wealthy man who is considering using a slice of his substantial fortune to run for president of the United States. Not as a Republican or a Democrat, as an independent. 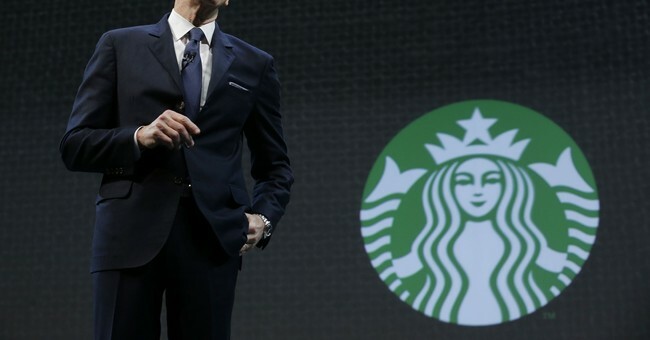 That fact has progressive activists beside themselves with rage that this man, former Starbucks CEO Howard Schultz, could be the spoiler of their plans to win the 2020 election. The question is this: are their fears founded? Schultz is worth in the neighborhood of $3.5 billion, which is a very nice neighborhood. I, like most people, would be happy to simply live in the same zip code as a neighborhood like that. The air there always smells like fresh flowers and some kind of food most of us couldn’t pronounce, let alone imagine tasting. That sort of life lends itself to both delusions of grandeur and actual grandeur, provided you didn’t arrive at it through the luck of birth. People who earn great wealth through means not related to numbered balls falling out of a machine matching a $2 ticket tend to know the value of a dollar. They’ve worked for it, worked hard, and took risks to get it. That generally means they don’t set piles of it on fire on vanity projects or out of boredom. This is why the idea of Schultz should concern everyone, not just Democrats. The same, by the way, goes for another progressive billionaire, former New York City Mayor Michael Bloomberg. Unlike Schultz, Bloomberg, should he run, will run as a Democrat. It’s in no small part how Donald Trump became president, so it’s a model that has been shown to work. But Trump went through a party, as Bloomberg is positioning himself to do. Unlimited funds can buy a lot of loyalty, influence, and influence-makers. It also frees up a lot of time that would otherwise be spent fundraising for more glad-handing. Skipping the party process will allow Schultz to make his case more directly and won’t require him to try to shift back to the middle like Democrats will after having spent their primary process veering to the left. But it also means no infrastructure in the states to get his name on all 50 ballots. The parties didn’t construct this to make it easy for people working outside it to win. The hurdles Schultz faces can be overcome with money, which he has. Democrats know this and they’re scrambling to try to convince him not to do it. Interestingly enough, in between being badgered by the ladies on The View about his potential candidacy guaranteeing the reelection of Trump, Schultz made an interesting point – his entry would make the 2020 race a battle for all 50 states. That might be a little optimistic, it’s doubtful California will be in play again until their bloated pension program collapses (which it will in the near future), but it will bring other states into play. Many states Democrats win regularly, but win by small margins, will be brought into play. Colorado, Nevada, New Hampshire, and Minnesota are states that could be up for grabs if there is a viable alternative for Democrats. That’s what scares them the most. The Electoral College still exists. Losing any of those states, plus splitting the vote in states where Trump squeaked out a victory will make defeating him a taller order than the power of incumbency already does. But what Schultz’s potential candidacy really does more than anything else, and why the establishment really hates the idea of it, is it exposes just how crazy they’ve gone. Even an only semi-sane Democrat next to a lunatic radical leftist pulls back the curtain on how far left they’ve gone as a party. Schultz admits the country can’t afford the Democratic Party’s new proposals for “free” everything, no matter how much they tax the rich. I don’t blame Democrats for worrying, but they’re worrying for the wrong reasons. The possible entry of Schultz does threaten them, but not because he’d pull votes from them, it’s because their current positions could drive votes to him. A man having a screaming match with a lamppost looks even crazier when standing next to another man simply having a casual conversation with one. It’s not the fault of the former Starbucks CEO that the Democratic Party has abandoned sanity and blue collar America for the outrage mob. To paraphrase Jeremiah Wright, whose racism and hatred of America are now mainstream liberal dogma, their chickens are coming home to roost.